I’m sorry this post is so late. Today I have some yummy treats for you! 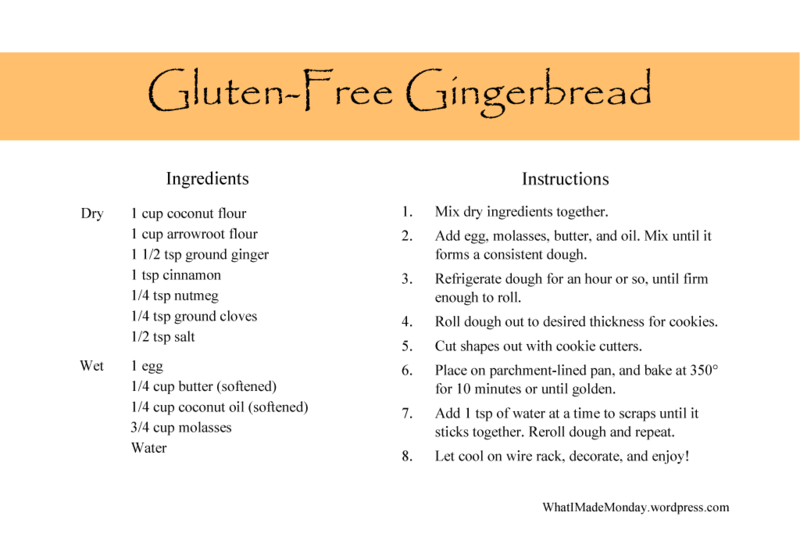 Gluten-free (grain-free) gingerbread cookies! I started with this recipe from The Coconut Mama. 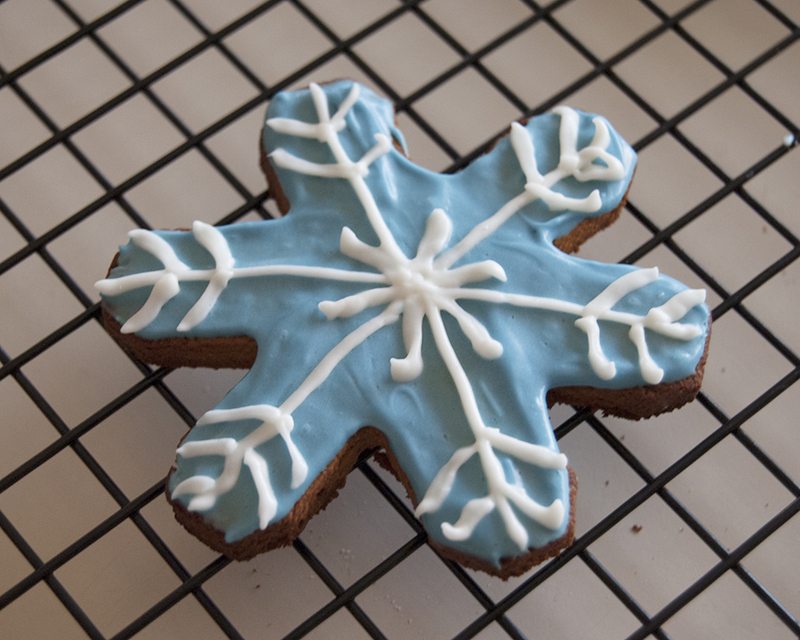 It looked great the way it was, but I wanted to use molasses to give it that traditional gingerbread taste. The addition of molasses changed it just a bit, so I decided to make my own card for what I did. After the cookies were done, we decorated them. These were my two favorites. I’m really looking forward to having a gingerbread house this year! When I was growing up we would make them every year. I haven’t made one in so long. Hopefully I’ll have a post about that sometime this week. 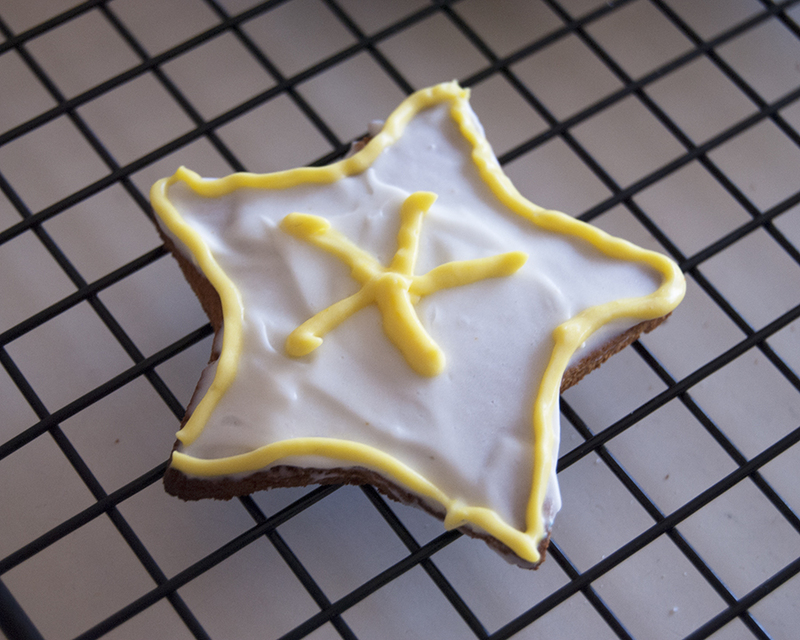 Is gingerbread a traditional part of your Christmas celebration?